In any academic Institution, the quality of faculty is the most important. At ARYA College of Engg. & IT, our core faculty comprises distinguished academicians from the best institutions and leading professionals from the corporate world with rich industry experience. The faculty, well-known and highly esteemed in their respective academic fraternities, is really what distinguishes ARYA College of Engg. & IT. They are drawn from among the best minds in the country and share among themselves a wealth of industry experience. The faculty includes acclaimed scholars and award winning professors drawn from all technical & management disciplines. 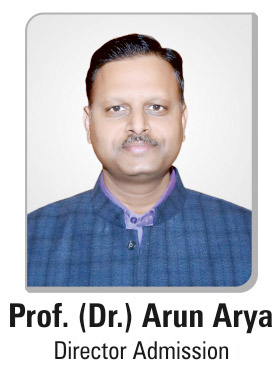 The diverse blend of faculty, academicians, researchers, and professionals , gives ARYA College of Engg. & IT a unique professional standing in the State. 47 Years in Teaching and Administration at various levels. 17 Years of Overall Experience in Industry & Education.